The NM-I3 SecuFirm2™ Mounting-Kit makes all Noctua CPU coolers compatible with Intel's LGA775 & LGA1366 sockets for Core i5 and Core i7 processors. Designed to combine outstanding reliability, optimal contact pressure and easy, straightforward installation, SecuFirm2™ is an enthusiast-grade mounting system that meets the highest demands in safety, performance and ease-of-use. Please use the new NM-i115x kit for upgrading older heatsinks to LGA1150, LGA1151, LGA1155 or LGA1156. The NM-I3 kit is now only available to provide LGA775 and LGA1366 support. 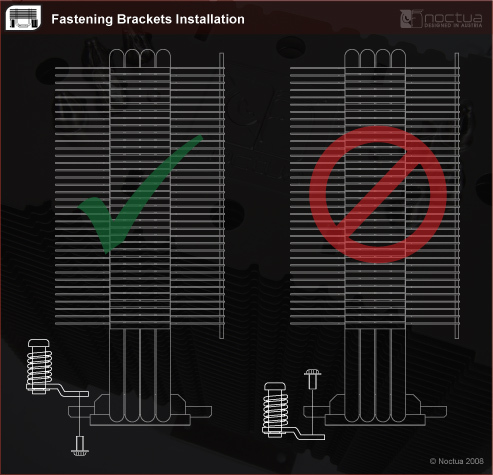 Owners of Noctua CPU coolers* can obtain the NM-I3 Mounting-Kit free of charge via this form. A proof of purchase (photo, scan or screenshot of the invoice) of both a Noctua CPU cooler and either a socket 775/1366 mainboard or socket 775/1366 CPU are required. The NM-I3 SecuFirm2™ Mounting-Kit is also available for purchase at some of our resellers. If you need the kit urgently, please consider ordering it via a local reseller. *The kit can not be provided free of charge for the NH-D14 SE2011 (special edition for LGA2011 only) as well as for DX series Intel Xeon coolers. If you would like to use the kit with these coolers, please purchase it a local reseller. Also note that this kit is not compatible with the NH-L9i & NH-L9a low profile coolers and DO series AMD Opteron coolers. Noctua's SecuFirm™ mounting systems are renowned for their excellent reliability, minimize the stress on mainboards and make it possible to transport the system without uninstalling the CPU cooler. With tens of thousands of units sold, there's not a single known case of failure. SecuFirm2™ utilizes a backplate with screw-threads that simply installs on top of the stock LGA1366/LGA1156/LGA1155 backplate. Not having to remove the stock backplate significantly reduces overall installation time and eliminates the risk of damaging the CPU socket. Thanks to the screw threads, the backplate can't slip during the installation process. Fully integrated fastening brackets with fixed pressure screws and springs greatly facilitate the installation process. No more fiddling with screws and springs! Thanks to the use of separate mounting bars, uninstalling and reinstalling the cooler only takes two screws. Loosening two thumbscrews gives full access to the socket without the backplate falling off, making it a child's play to change CPUs even if the mainboard is installed inside a case. SecuFirm2™ is fully backwards compatible with all Noctua coolers since 2005, making them safe long-term investments that can be used for several CPU generations. - Makes all Noctua coolers compatible with Intel LGA1366/1155/1156 CPUs. The Noctua NM-I3 Mounting Kit can bring new life to your old and aging Noctua coolers and make them useful once again. The kit is simple to use, just follow the instructions and you’ll be done in a mater of minutes really. El kit de montaje NOCTUA NM-I3 SecuFirm2 está Recomendado por islaBit obviamente para los disipadores de Noctua que no traigan tal kit como accesorios de montaje, como es el caso del disipador Noctua NH-D14 SE2011. Es la única alternativa para montar estos disipadores en tal caso. Resulta un kit muy seguro que garantizará el soporte sin percances de un peso mayor al kilogramo y medio, siendo capaz de aguantar el peso del disipador NH-D14 SE2011 (1240g) junto con otro ventilador adicional NF-P12 PWM (170g) (3 ventiladores montados sobre el mismo disipador, 1410g), que es la configuración que hemos estado probando con el procesador de Intel Core i5 2500k sobre la placa base Gigabyte GA-Z68X-UD5-B3 y que actualmente conservamos en nuestro laboratorio. Nota per la qualità dei dissipatori e delle ventole prodotte, oltre che per il triplice rapporto prestazioni-silenziosità-prezzo, Noctua è così sicura dei suoi prodotti da applicare una garanzia di ben sei anni. I tried the NM-I3 Mounting kit on all three different Intel sockets it’s compatible with and everything lined up fine. There was no need to make any adjustments because screw holes or connection points were misaligned. Is the cooler compatible with LGA1366 mainboards for Xeon 5500? My mainboard has more than one set of mounting holes. Which one should I use? 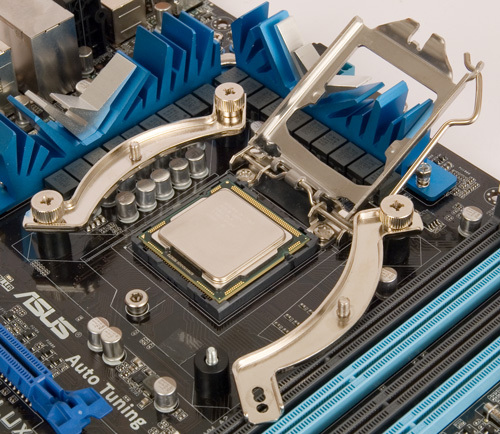 Is the mounting system compatible with LGA1155? 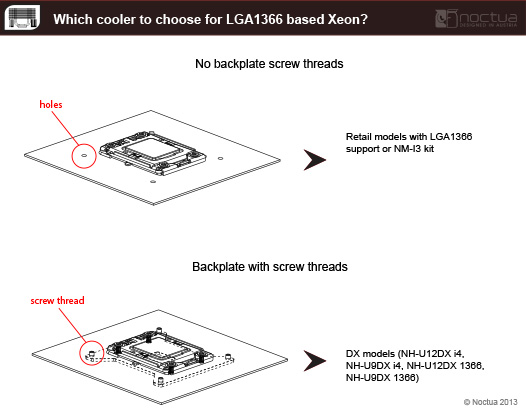 Due to the custom NM-I3 backplate, the cooler can not be used on mainboards that have a backplate with screw threads for CPU cooler installation (such as the Intel reference backplate for Xeon 5500). Please choose our NH-U12DX 1366 for these mainboards. Please always use the standard set of mounting holes that's compliant with your socket type (e.g. 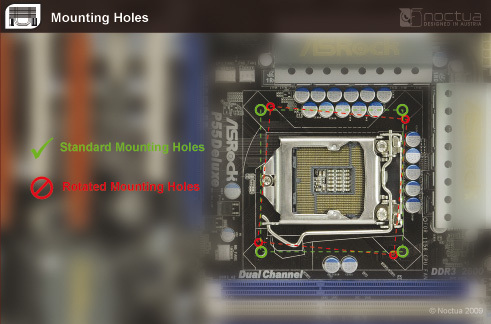 75mm LGA1156 hole spacing on LGA1156 sockets) and parallel to the sides of the socket. Don't use mounting holes which are rotated in relation to the socket. Yes. 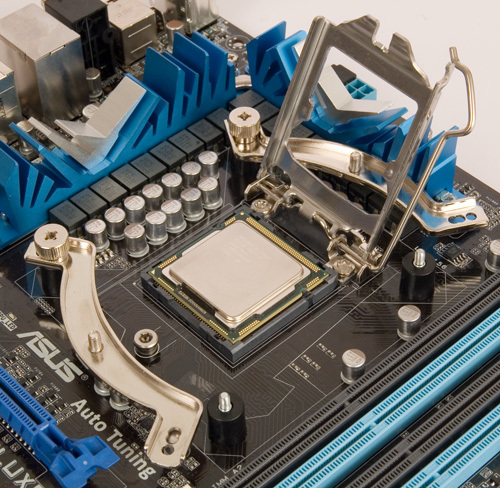 LGA1155 uses the same hole spacing as LGA1156, so the same SecuFirm2™ mounting system can be used.